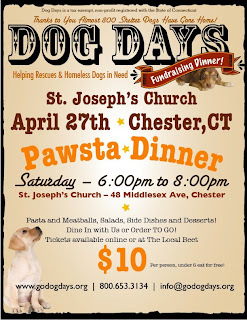 Where can you get a GREAT meal AND help shelter dogs for ten bucks? 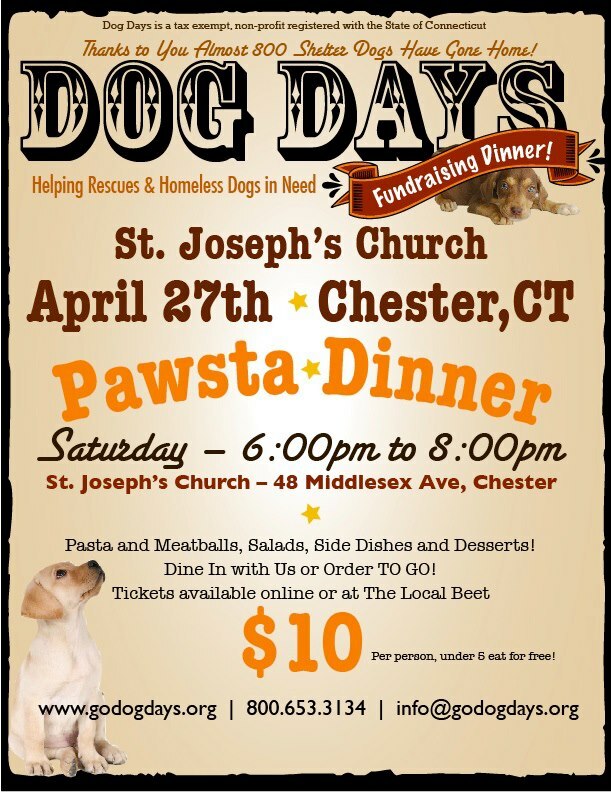 St. Joseph's on April 27th at 6:00PM - that's where! We're saving up for our adoption events AND to buy a second trailer desperately needed to haul our kennels to adoption event locations around the state - if you order for two you'll be helping us to help 'them'!